Forgive me the heading please?! It is more befitting than it seems. After weeks of testing I’m a very excited to finally be able to show you our Elaborate Egg candle. Two parts stunning and one part delicious, this beauty burns for no less than 30 hours. It’s approximately 12cm tall and 7cm wide at it’s widest point. This is something for Easter that not only has no calories, but can take off pounds (simply turn off the lights and fire her up… everyone looks better by candlelight)! 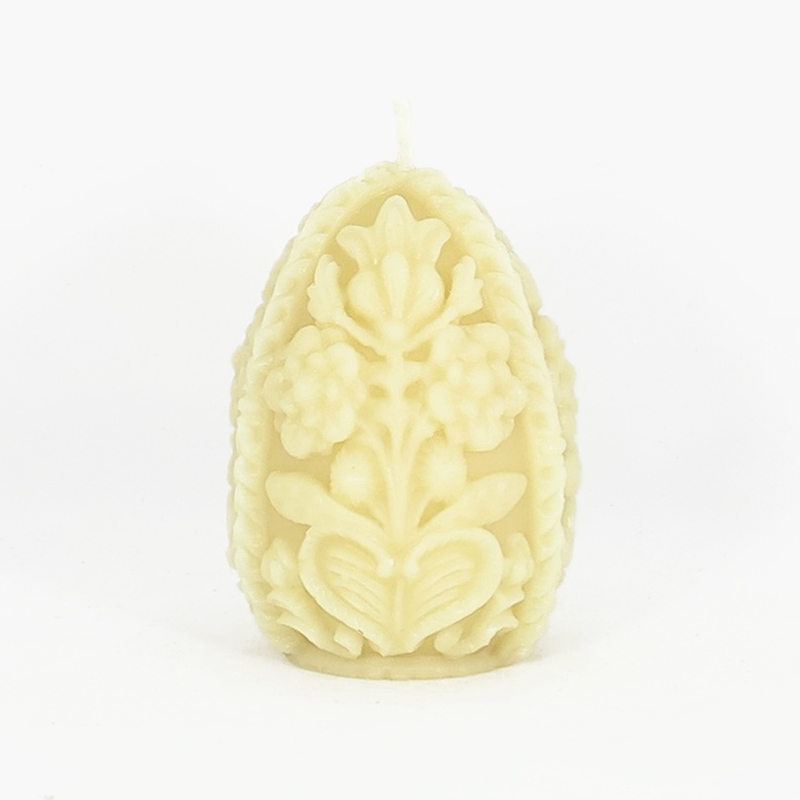 Our Elaborate Egg beeswax candle comes packaged in a beautiful, biodegradable sinamay bag. It’s 6.30am and I’m off to the Easter Show today to volunteer at Honeyland. No more appropriate a blog post for this morning then than one about honey aroma-ed beeswax candles in the shape of an egg! Great eggspectations indeed! 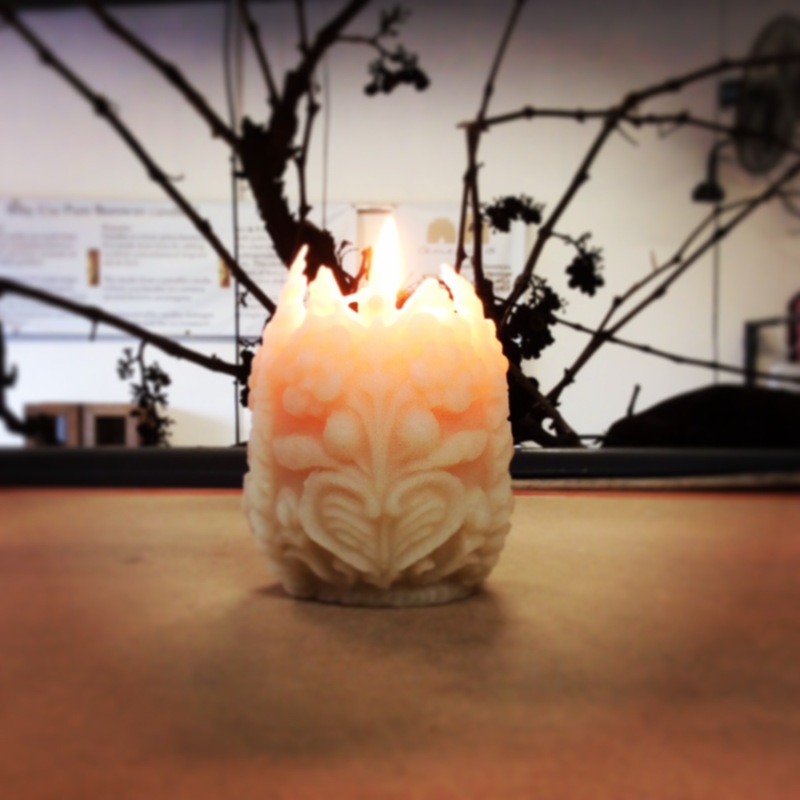 You can find our Elaborate Egg candle on the Queen B beeswax candles website here. I hope you have a gorgeous week. Just one more because she’s completely stunning!